2 October, 1835, the Texas Revolution began at Gonzales, Texas. Several years earlier, the Mexican government had granted the town a cannon for protection against the Comanche raids that were common in that region. In 1835, however, after a revolt orchestrated by several other Mexican states, Colonel Domingo de Ugartechea, commander of Mexico’s military forces in Texas, set about disarming the colonists, despite a solemn pledge of allegiance from Gonzales to President Antonio Lopez de Santa Anna. The citizens of Gonzales already had reason for discomfort. A few weeks earlier, a Mexican soldier had beaten a Gonzales man, and after a loud public outcry, the people of Gonzales feared that the confiscation of the cannon was nothing but a prelude to harsh measures against their protests. They refused to surrender the cannon to the men Ugartechea sent. On 29 September, one hundred men under Francisco de Castaneda, arrived in Gonzales to take the cannon by force. The people of Gonzales stalled for several days while sending out messengers to nearby towns, calling for reinforcements. By 1 October, more than 140 armed Texians had assembled in Gonzales, and in the morning of 2 October, they arrayed themselves along the banks of the Rio Guadalupe and opened fire on Castaneda and his dragoons, under a homemade banner that proclaimed “COME AND TAKE IT.” With no cannonballs available, they loaded the cannon with scrap metal and nails. The Mexicans, startled and outnumbered, retreated. Texas was on its way to independence. 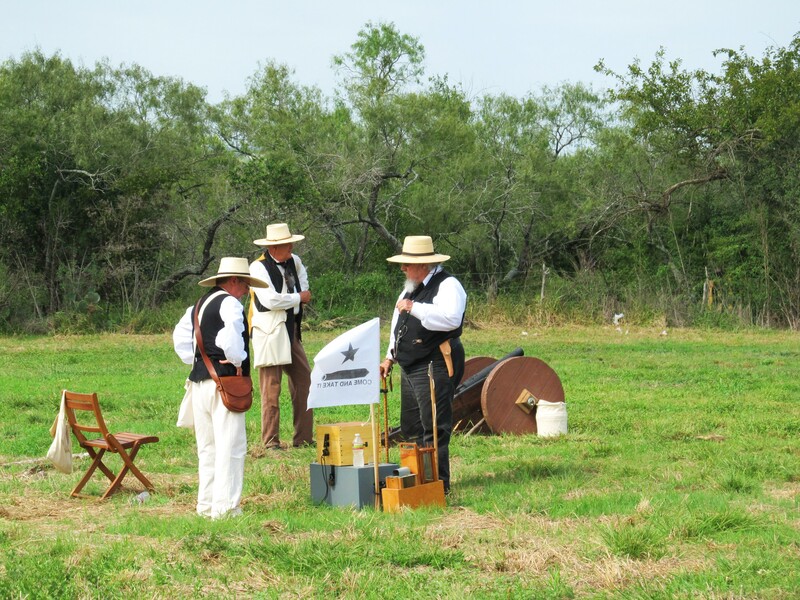 Today, Come And Take It Weekend is hosted in Gonzales, where reenactors play out the historic battle of the Lexington of Texas. 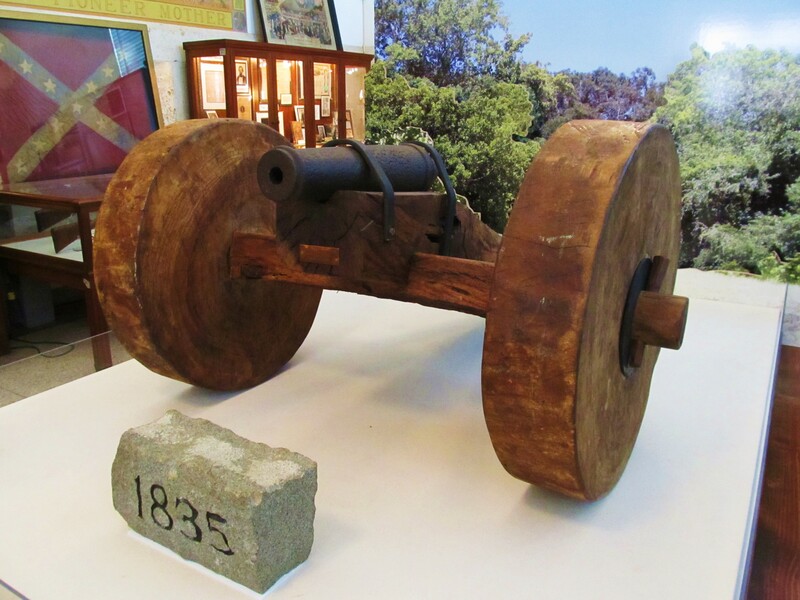 Under the Six Flags of Texas, the cannon still stands within the Gonzales Memorial Museum. They never did come and take it. A hundred and seventy-seven years later, surprisingly few people, even here in Texas, know the story of the cannon of Gonzales. Texas history is not as popular as the World Wars, the Norman invasion of Britain, the Russian Revolution, or even pre-Revolution American history, even though Texas has been her own nation in the past, and could probably survive again as an independent republic, though of course not with nearly as much success as she enjoys as part of the United States. I am enormously grateful to the men and women of Gonzales who put so much effort into making the Texas Revolution visible and vital. It remains a part of our culture here, deeply ingrained in the Texan sense of dignity and duty. I will do my best to do my part to keep that history alive. Maybe someday, I’ll write a book about it. 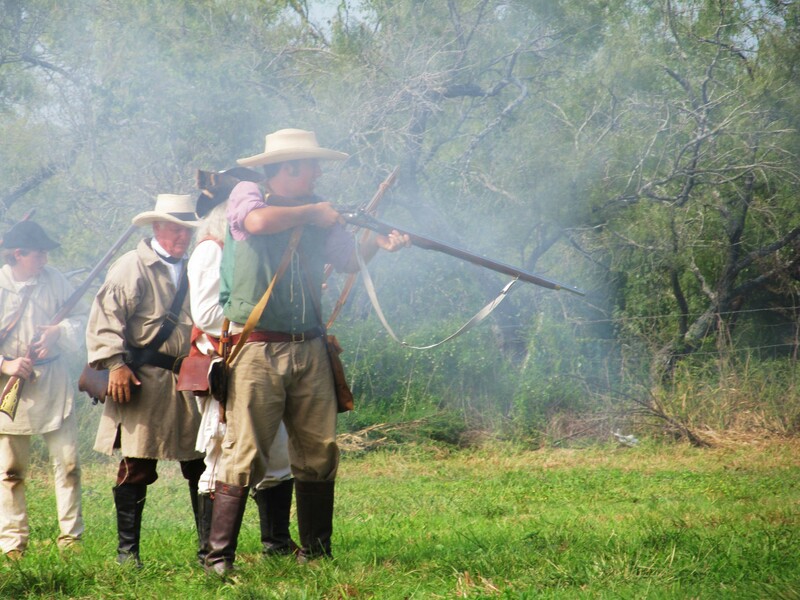 Tagged battle, cannon, come and take it, gonzales, history, reenactment, revolution, texas. Bookmark the permalink. I am surprised that wonderful nugget of Texas’ past isn’t more widely acknowledged. I had never heard that story and yes, if you write it, I would read it! Go for it. Paying tribute awesome-ly. You’ll get a read by me. Very interesting. I am one who needs stories like these to think more about history. You made the situation real and meaningful. I always love reenactments. It was a very good experience. That day, my family became even prouder to be from the great state of Texas!